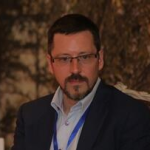 Alex Cobham is a development economist and chief executive at the international Tax Justice Network, and a visiting fellow at King’s College London IDI. Over the last fifteen years Alex has held various policy and research posts, including as a research fellow at the Center for Global Development, as chief policy adviser at Christian Aid and head of research at Save the Children (UK), and at Oxford as a junior economics fellow at St Anne’s college and as a researcher at Queen Elizabeth House. 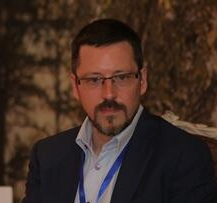 Alex’s work has mainly focused on issues of taxation, horizontal and vertical inequality, and illicit financial flows. He is the author or co-author of a range of academic papers, policy reports, and book chapters, including some of the first estimates of the costs of illicit financial flows for developing countries; and played a central role in the development of the first major development INGO campaign on tax justice at Christian Aid. With Andy Sumner, he has proposed a new measure of inequality, the Palma ratio. Alex is on the board of trustees of ActionAid UK, the steering group for the International Commission for the Reform of International Corporate Taxation (ICRICT), the technical advisory group for the Fair Tax Mark and the policy committee of CSAE (the Centre for the Study of African Economies at Oxford). He is also a representative of the Financial Transparency Coalition on the European Commission’s EU Joint Transfer Pricing Forum, and was on the advisory group for the UN’s thematic consultation on inequalities in post-2015, and the research advisory panel for the Pan African Inequalities conference. Recent publications include the first paper on the Financial Secrecy Index in a leading economics journal; the discussion paper for the 2014 High-Level Tana Forum on Security in Africa, focused on illicit financial flows; and a proposal for illicit flow targets (including cost-benefit analysis) for the post-2015 Sustainable Development Goals, commissioned by the Copenhagen Consensus. Recent refereeing duties include Oxford Bulletin of Economics and Statistics, Development Policy Review, Accounting Forum, and Oxford University Press.